** Keep the cuts to under an inch, I recommend you using kitchen shears and cutting above a large bowl. They tend to fly all over the place. 1. Add butter to a large sauce pan and allow to melt. Once melted, add pastas and rice. Stir to coat in butter and allow to brown. Should take just a few minutes. 2. Once mixture has browned; add stock, water, garlic powder and onion powder. Add white pepper too is you choose. It gives it a bit of a kick. Stir to incorporate and bring to a boil over high heat uncovered. 3. After rice has reached a boil, cover tightly and reduce heat to low. Allow to simmer for 15-18 minutes, stirring occasionally. 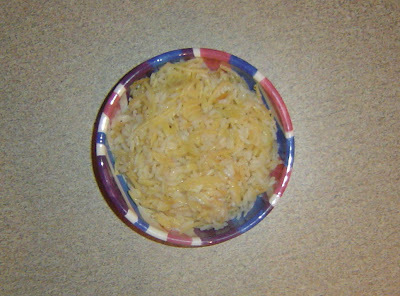 If rice has absorbed all the liquid and is still crunchy, add a splash of liquid and allow to simmer for another minute. 4. Season with S&P to taste.